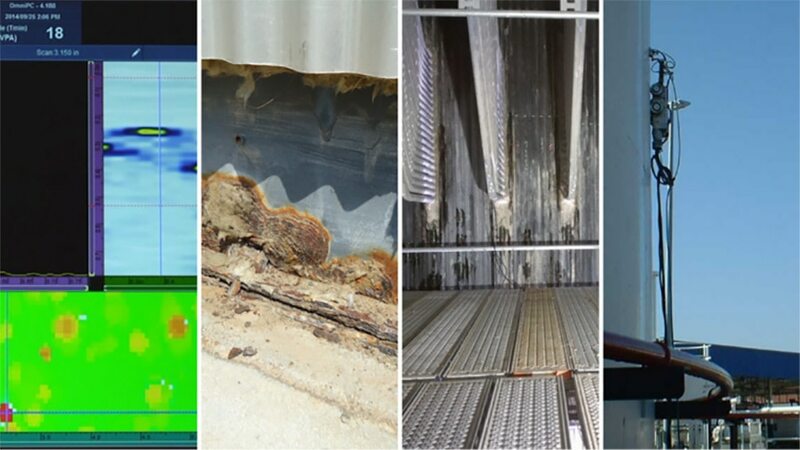 Ultrasonic Corrosion Inspection ✓ ✓ ✓ | SCI S.A.
During production processing, there is one extremely important problem that nearly all industries are exposed to, namely that the metal surfaces on piping, boilers and tanks are subject to corrosion. Corrosion is a process that deteriorates the material, reduces the metal’s initial thickness and can lead to leakage or loss of metal or fluid. Very often, corrosion cannot be detected simply by visual inspection, as that would require cutting or dismantling the pipe, boiler or tank. If left untreated, it will weaken surfaces and may cause serious structural failure. For both safety and economic reasons, it is imperative that metal structures be regularly inspected. Ultrasound is a highly effective, non-destructive method used by SCI, Control & Inspección to perform such inspections. Ultrasonic testing consists of taking readings using a phased array instrument. Systematic inspection of the generators in tank shell rings. ‘XY’ mapping of areas with corrosion or pitting. 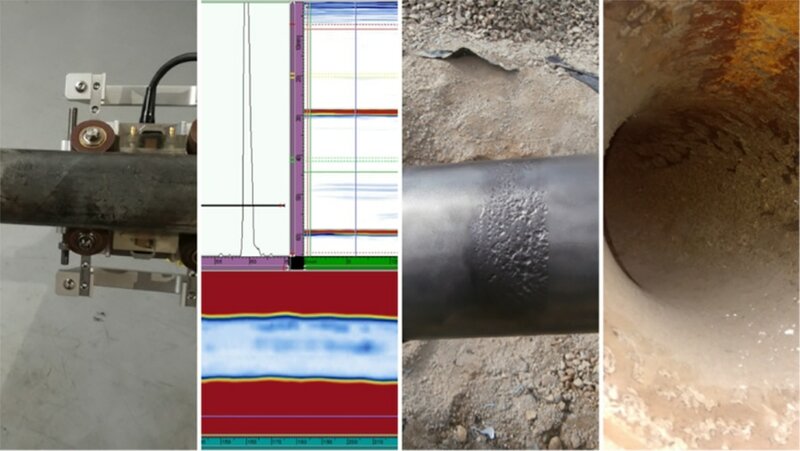 Systematic inspection for corrosion or pitting in water pipes (2″ ÷ 4″). If you are interested in finding out more about our ultrasonic corrosion inspection service, please contact us for a free, no-obligation chat. Likewise, we are at your fullest disposal to discuss the rest of the Non-Destructive Tests that we carry out at SCI Control & Inspección. You can contact us by phone on +34 918844393 or +34 902888831, or by e-mail at sci@scisa.es. You can also consult our sales offices in Spain, Chile or Mexico, countries where we also carry out this type of NDT. We look forward to receiving your no-obligation enquiries.